The Intense minerality of the vineyard is showing nicely here. It is coupled with the typical overripe yellow fruit notes of the Pfalz. Only little thing bothering is a slight bitterness in the end. 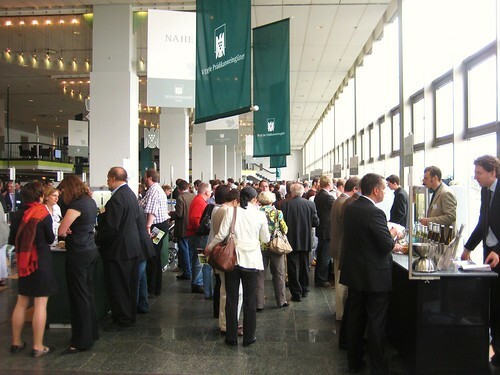 But still, it is just beautiful to drink right now: like most 2008 Rieslings the drinking window is finally wide open. 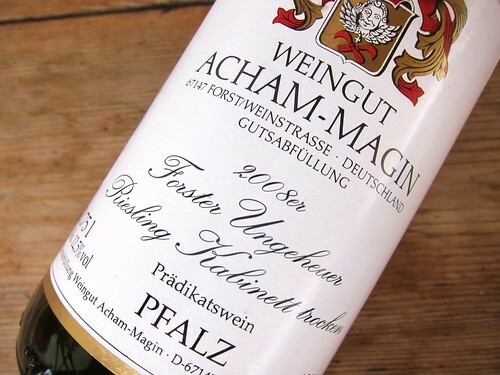 The Acham-Magin estate ,member of VDP, is one of the nice options for Forst wines if you don’t want to pay the skyhigh prices of Bürklin-Wolf.